HARTFORD – So far, Gotham has covered the back stories of quite a few, well-known villains from the Batman comic book series, such as Penguin, Riddler, Catwoman, Poison Ivy, Scarecrow, Hugo Strange, Two-Face, and Victor Zsasz. But who can fans expect in Gotham season 2? Confirmed by executive producer Danny Cannon, Mr. Freeze, also known as Victor Fries, will be making an appearance with an entirely new back story from the comics. although there is still speculation if this will happen in season two or three. Recently confirmed by producer John Stephens via the official Gotham Twitter handle, season two will definitely introduce us to Clayface and The Mad Hatter. For those who aren’t familiar with these two villains, Clayface is said to have a body made out of living mud, with the ability to both shapeshift into anything he pleases, and to melt people just be touching them. The Mad Hatter is a neuroscientist who places mind control devices in hats to gain control over anyone who wears them. Season two will also feature the evil outbreaks of both Edward Nygma (The Riddler) and Two-Face, which fans have been anxiously waiting for. The Ogre (Milo Ventimiglia), another Batman villain, will make his first appearance when Gotham season 1 returns on Monday, April 13. Many fans are still anxiously awaiting the arrival of The Joker, which producers have not done more than hint about, as well as the arrival of Harley Quinn. There has been much speculation as to which of the current characters may, in fact, be young versions of the villains, but the Gotham crew is keeping a tight lid on that information. Fans will just have to keep watching the show to find out! The villains of Batman set out to make Gotham City theirs. The video sees Scarecrow unite the Rogues Gallery, including Two-Face, The Penguin, the Riddler, the Arkham Knight, Harley Quinn, and Poison Ivy, who ignite an all-out war as they try to take down The Dark Knight and claim Gotham City as their own. Watch the trailer below. 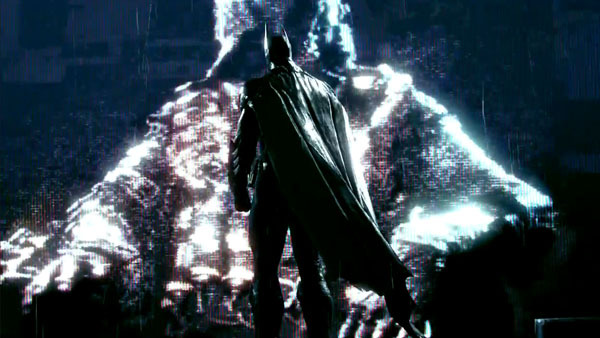 Batman: Arkham Knight is due out for PlayStation 4, Xbox One, and PC worldwide on June 2.